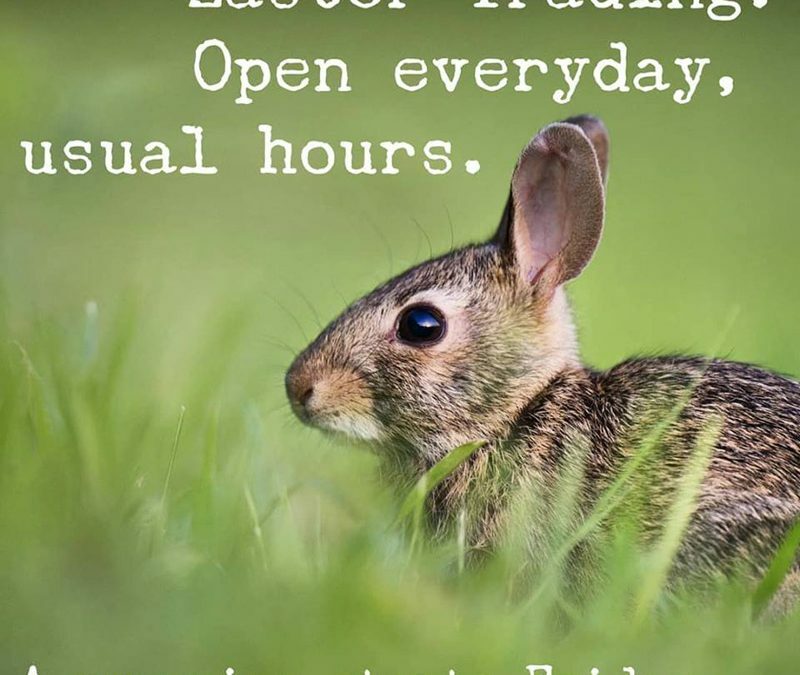 We’re open everyday over the Easter long weekend from 9:30 – 4:30 daily except Sunday which will be 10:00 – 4:00. We’ll have an announcement on Wednesday about a surprise for the weekend! Stay tuned and be sure to follow us on Instagram and Facebook to find out the moment it’s announced. @nestandburrow Is where you’ll find us.